Whaaat? Now before you say “Ewww”, in a way it’s genius! 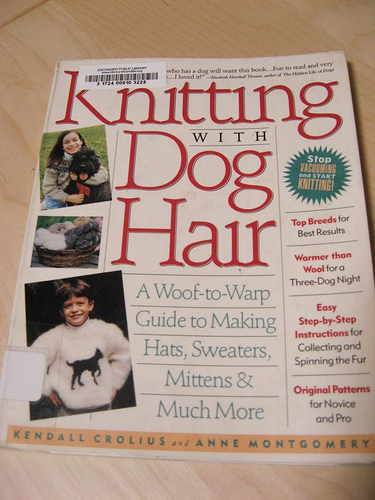 Knitting with dog hair…think about it: How is dog hair/fur any different from the fur of a llama or sheep. All natural fiber comes from an animal after all. No one goes “Ewww” when you see alpaca or wool yarn. 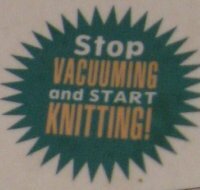 And actually, people have used dog hair to spin yarn throughout history and different cultures. The book is on Amazon and has a new cover now. I guess the book was popular enough to call for a 2nd edition. The new subtitle reads, “Better A Sweater From A Dog You Know and Love Than From A Sheep You’ll Never Meet.” Wise words, wise words, indeed. 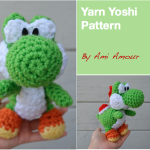 So my amigurumi brain got to thinking, “Hmmm wouldn’t it be cool if I created an amigurumi of him using yarn made from his own fur?” Of course it would be just for myself. I don’t really see many people lining up to buy things made from dog hair as of right now. But I want to do it for the novelty and fun factor. So I’ve decided that this will be an ongoing project for myself. 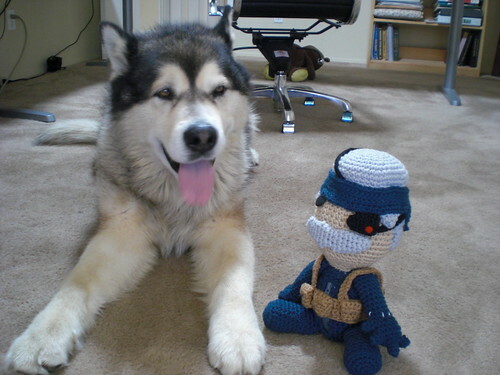 I will collect his dog hair, find myself a spinner to create the yarn for me, and then create an amigurumi version of an Alaskan Malamute. It might take awhile, but once I do have it finished, I will post of my results! So let me know, is this gross or genius? 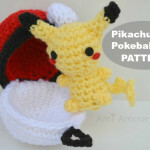 Have you ever crocheted or knit a project made from dog or cat hair? Would you even do it in the first place? Share your thoughts and stories! I always joked with my husband every time we bathed our husky by saying that the furry could be turned in to yarn. At the time I thought it was a weird but interesting idea. Since I have developed an allergy to dogs, the idea doesn’t sound all that good . Thank you for the review it is interesting and informative. I’m glad you stopped by! I should brush my dog some more and gather up more of his hair. I’m still in the process of gathering my dog’s fur. I better start brushing him more often especially as it gets to be spring and he sheds a lot then! 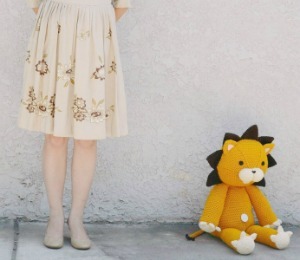 I think there are places online that you can send the fur and they’ll spin it for you. I’ll let you know how it turns out. For sure, I think it’ll take a while collecting his hair. Hello, my mum and I found this book back in the late 1990’s, we bought it from Angus & Robertson bookshop. We thought it was a great laugh and also a wonderful interesting idea and our family had a lovely Golden Retriever. We collected up a fair bit of her hair (the undercoat fuzz) and asked around quite a few spinners and knitters if any of them would be able to spin it for us. In the beginning none of them seemed very interested and finally we had one lady who accepted and for a fee span our Retriever fur. She did say that she had some difficulty with spinning it (we wanted to keep it 100%) and said it should have been mixed with sheep wool. If someone is lucky enough to collect Golden Retriever puppy fuzz from many young puppies (before they start getting their double coat) then to me that was more like sheep wool and would probably spin up better without having to be mixed. When we got our spun dog hair I gave the yarn a wash in cold water and wool wash to clean and make the yarn nice and fresh before using it. 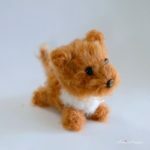 It was a worthwhile project and a very nice way to remember your pet. So definitely give this a go! Back then I didn’t knit or crochet but my mum could knit so she just made a small scarf out of it. It’s really just a memento because it does tend to moult so it’s not good to wear. But the fabric made from it is just lovely. 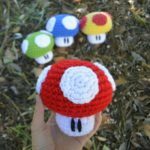 I am into crochet these days and I am so happy to be learning this wonderful craft. HI Marie, thanks for sharing the story with me. That’s awesome that you tried it out with golden retriever hair. I think the fur that I collect will also have to be combined with wool or some other sort of fiber. It would take too long to get the amount that I wanted. Unfortunately my dog Thor passed away last year. I have 2 Huskies now though and I’m collecting their hair as well. Right now they are shedding or blowing their coats so I have a bunch on my hands. Haha I should take a picture of what I’ve collected so far and put it up. I realised that I have not taken any photos of the Golden scarf and it’s been several years now since it was made so I think it would be nice to do that, then you will be able to see what it looks like:-) Huskies fur/hair would be very nice as well, keep collecting I’ll be interested to see how you go with that. I’ve been collecting Husky fur for a while now. I have 17 bags of it. I would love to know what you made or what you suggest. 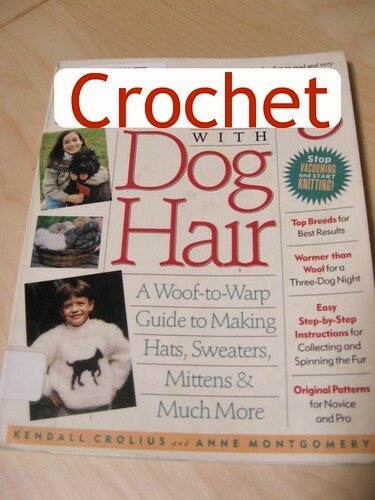 I just started crochet last winter & thought I could be ambitious enough to make a sweater from my dog hair, but I heard it’s very hot – hotter than wool & I don’t know if it’ll get cold enough to enjoy it here. But I look forward to creating a project from my first dogs to keep as a memento long after they’re gone. Any suggestions? It’s not crazy. Check out my website; I do it all the time. And the results can be STUNNING.